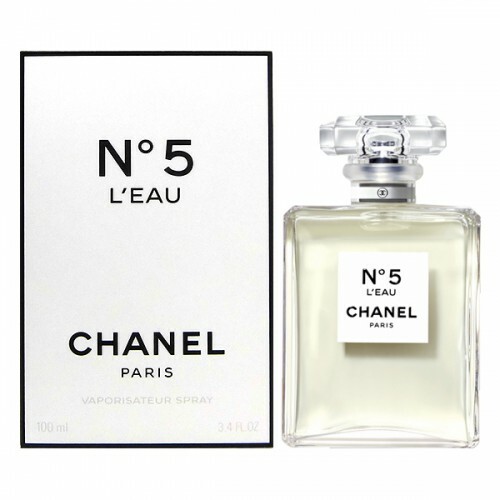 Chanel No.5 L'eau immediately won the recognition of the most stylish girls. 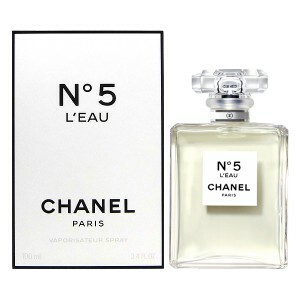 Chanel No.5 L'eau 100ml. EDT - The success of the perfume of the early twenties of the last century - the famous Chanel No.5 - could not be repeated to any perfume brand and no fragrance. Now you can enjoy the latest addition to the Chanel No.5 L'Eau line, which was released in 2016 and immediately won the recognition of the most advanced and stylish girls. Flanker? Yes, this is the very tenderness, woven from flowers and lacy crisps, like a starched white tablecloth, aldehydes! The continuation of the family Chanel No.5 was a success - it's the secret of the filigree, as always, work of the famous "fragrance" Chanel Olivier Polge. Citruses and flowers, wood and musk, sweet vanilla and a powdery root of the iris - all so harmoniously intertwined into a single whole composition, that you immediately recognize the signature brand signature of the Chanel brand! Aromatic filling has a floral aldehyde form. The new composition was made in 2016 under the guidance of a bright perfumer of modern perfumery - Olivier Polge . The smell is tender and warm with romantic fulfillment. It adds elegance and sensuality to a woman. The smell begins with the top of notes with notes of orange, neroli, mandarin, lemon, aldehydes, lime and bergamot. In the heart there are notes of jasmine, ylang-ylang and May rose. In the base notes there are notes of white musk, white cedar, vanilla and iris root. The smell is made for spring, summer and autumn.